Carl's Curios: What are these? Where from and carved from what? Guess where this work-bench came from and what work was performed at it.
.(1) Need a size, please. It is a cello case or a double base case. 19th century. 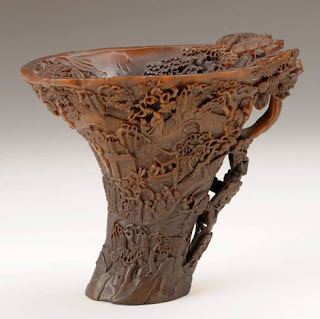 (2) Rhino horn, Chinese paint brush cleaning cup - or libation cup. (3) Cast iron - linen smoothing weight. (4) Cobblers bench for cutting leather out. P.s. 4 might be from one of the Leicester Museums. 1. 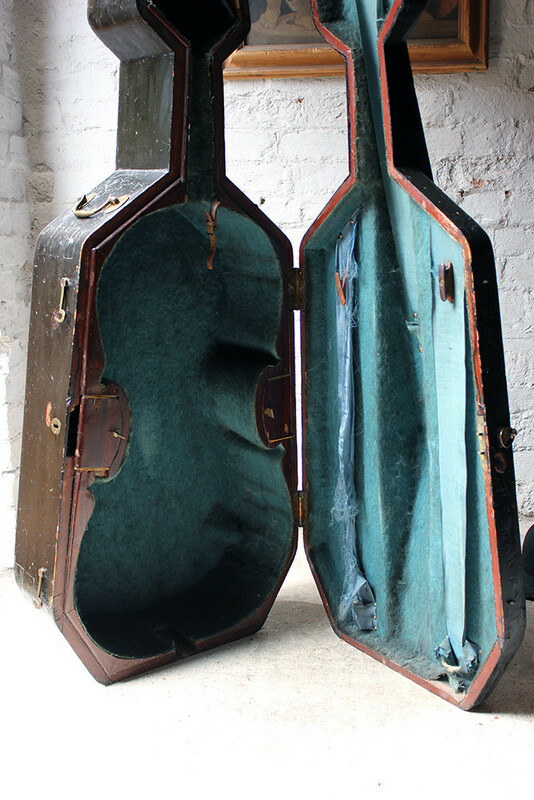 Spot on Mike ~ Cello case dated 1804. 2. Right again, Mike ~ medicinal rhino-horn drinking vessel ~ libation cup. I see where your coming from but my clue was a bit more literal ~ The bench was taken from the Leeds Lunatic Asylum where inmates would stand at these for hours a day, chopping old ropes and hawsers into tow to be remade into new rope. But on Sundays they had the lighter task of chopping up old clothes for making mungo and shoddy, types of reconstituted cloth. Re-cycling isn't a modern idea. 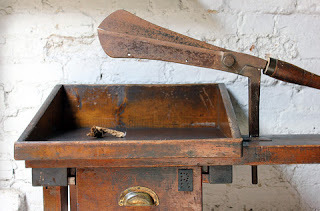 3. the smoothing iron is made of cast-iron and its specific purpose was for ironing the baize on billiard tables.